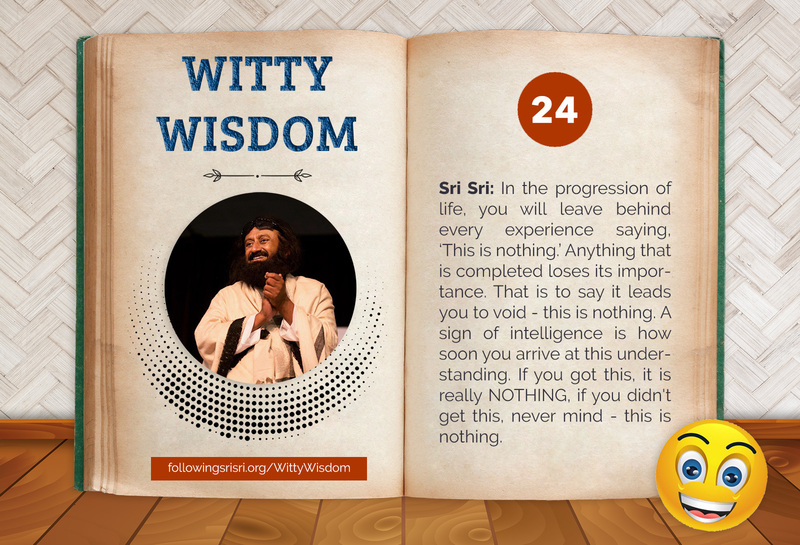 Gurudev Sri Sri: In the progression of life, you will leave behind every experience saying, ‘This is nothing.’ Anything that is completed loses its importance. That is to say it leads you to void - this is nothing. A sign of intelligence is how soon you arrive at this understanding. If you got this, it is really NOTHING, if you didn't get this, never mind - this is nothing.